This is one of our newly started and ongoing projects. The property in Tunbridge Wells is undergoing a complete refurbishment at present. The additional roof had sprung leaks and after an inspection it was clearly evident there was no roofing felt present at all. 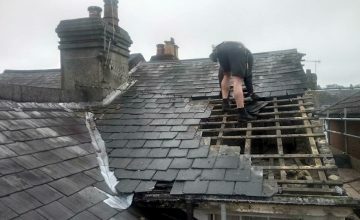 The whole roof had to be removed and renewed. 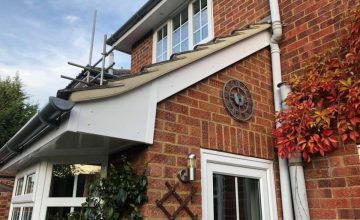 One of our last jobs of 2018 was a full refit of new upvc fascia, soffit and guttering. This was the second time this customer had used our family run roofing service. Here are two recently installed GRP fibreglass resin roofing systems on two dormers. The existing roof covering were leaking and had to be renewed. 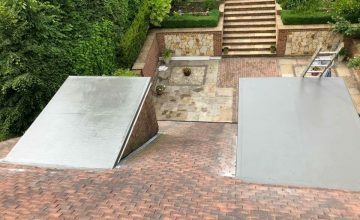 Here at coopers we care about all our customers, so whether you have one slipped tile or need a whole new roof on either a traditional or modern build, we are here to get any job done to a very high standard. One day roof repair, on time, good customer service, friendly, reasonable cost. Looks brand new, couldn’t have asked for more. They arrived when they said they would and were very courteous and tidy. Fantastic, would highly recommend them. Matt moved jobs about to fit our new roof in which we really appreciate. He and his team were very friendly and kept me up to date with pictures to show their progress. We are very pleased with the end result and also great to get a 20 year guarantee. Reliable, polite and excellent finish all for the quoted price. Would recommend to anyone. Very professional. Cured a longstanding problem that had foxed other roofers. Highly recommended, and we will be using them again. Matt Cooper arrived on time and carried out the necessary work quickly and efficiently. He was well presented, friendly and polite and left the site in a tidy state. Matt and his team are very professional. This is refreshing in the building trade. Agreed start and end dates and was not let down. A pleasure to work with and great work. 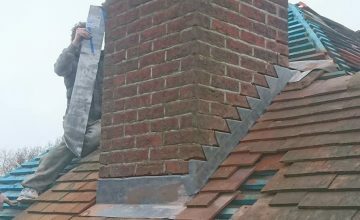 I would thoroughly recommend Coopers Construction South East Ltd.
Matt moved jobs around to fit our new roof in which we really appreciated. He and his team were very friendly and happy to keep me updated on progress, showing me pictures throughout of their work. We are very happy with the final result and good to know it comes with a 20 year guarantee as well.